B) They screwed up again, can't fix it (or don't know how) and are afraid of how people will react. 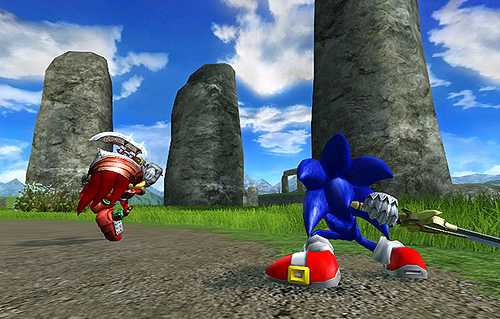 http://www.tssznews.com/wp-content/uploads/2008/12/3073438791_5a2bbe5081.jpg Is Knuckles wearing armor, or is that Metal Knuckles? Location : Um.......What was the question? It is knuckles! He sword fights with Sonic as a boss! I wonder when they'll release a few Shadow pics. I really want to see him in action. If Knuckles has a sword and body armor, then Shadow has to be awesome!